How Do You Stay So Fresh and So Clean When You're on the Road? Welcome to Wisdom of the Masses, wherein we tap the global intelligence of our readers on matters you won’t necessarily find covered in Lonely Planet or Tripadvisor. 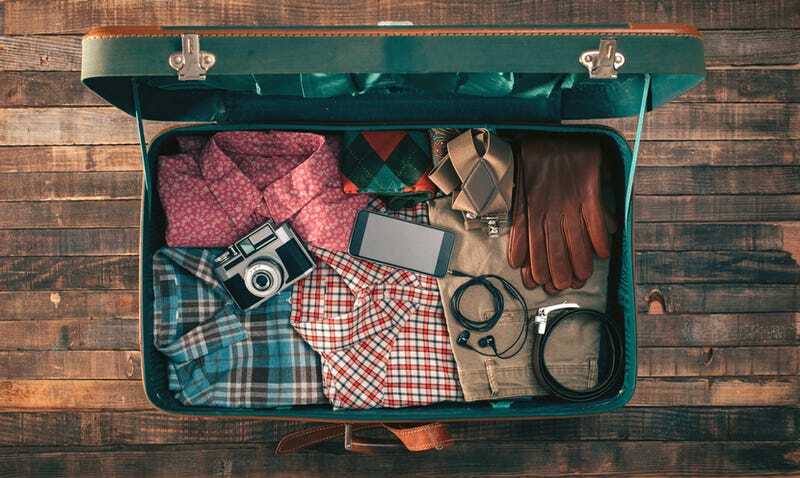 Unless you’re a particularly conscientious traveler and/or wizard, things can get remarkably messy when you’re living out of a suitcase for any period time. Whether you’re a light packer looking to make your clothes last, or your hotel room goes from zero to hurricane the second you open your bags, Friend of Jezebel™ and noted clean freak Jolie Kerr has helpfully tackled the issue over at Racked. In addition to packing tips (I personally swear by in-bag organizers—pouches and smaller bags to keep your suitcase in order), Jolie has a clever idea: hand sanitizer doesn’t just assuage your germaphobia, it also works as a handy stain remover, should you find yourself without Shout Wipes or whatnot. Got some sneaky pro-tips of your own? Fill us in.